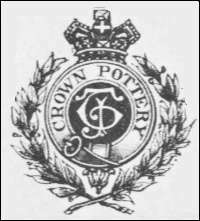 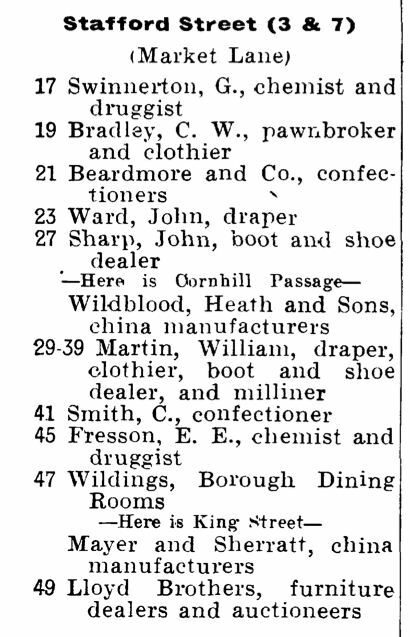 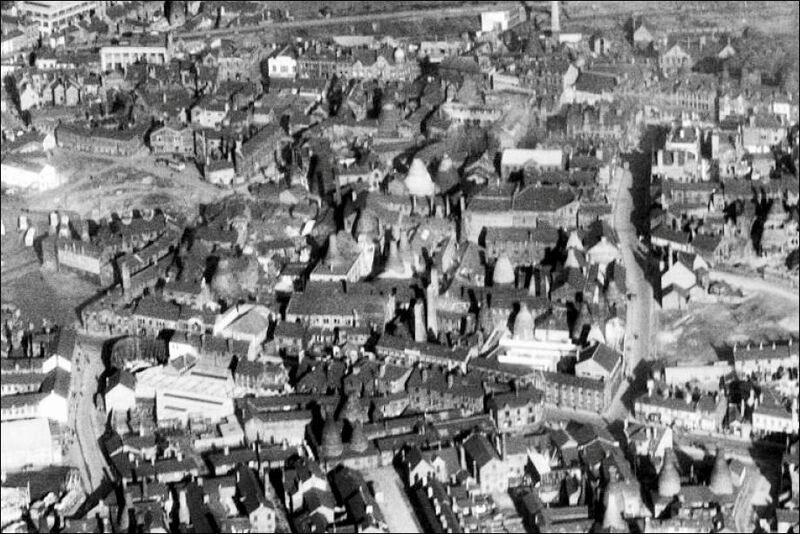 NOTE: Nearby there was another, unrelated, pottery factory known as the Crown Pottery (established by John Goodwin and later occupied by the John Tams) on the corner of Commerce Street and Stafford Street. 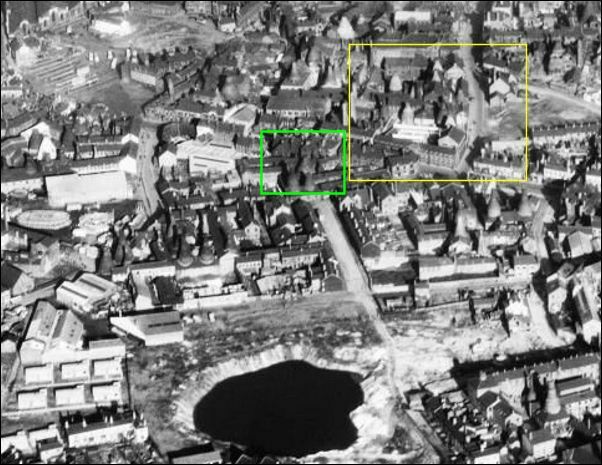 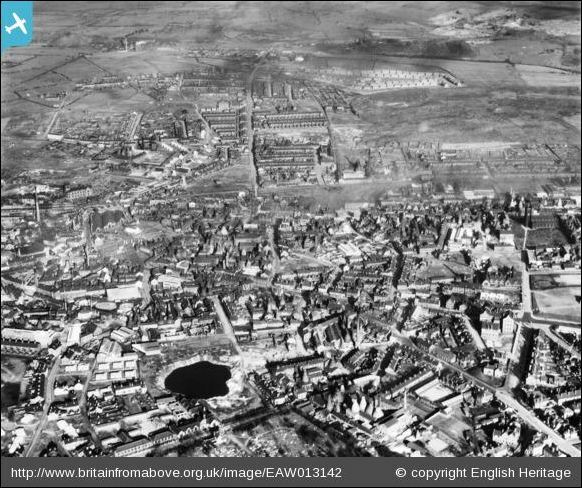 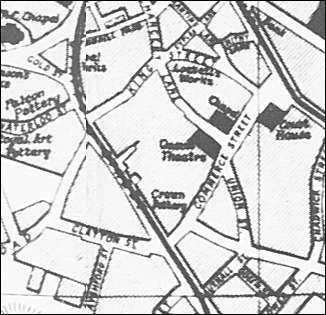 Unfortunately the Crown Works on Clayton Street factory was sometimes called the Crown Pottery (see the 1857 map below) and so in c.1919 it was renamed the St. Georges Works so as prevent confusion. 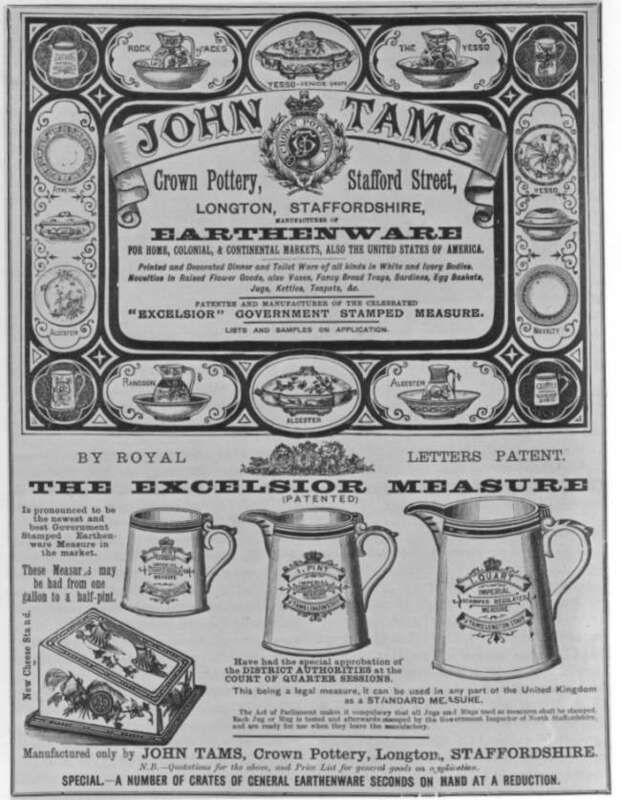 "Thomas Bettany produced china tea, dessert and other services at these works from 1859 to 1870. 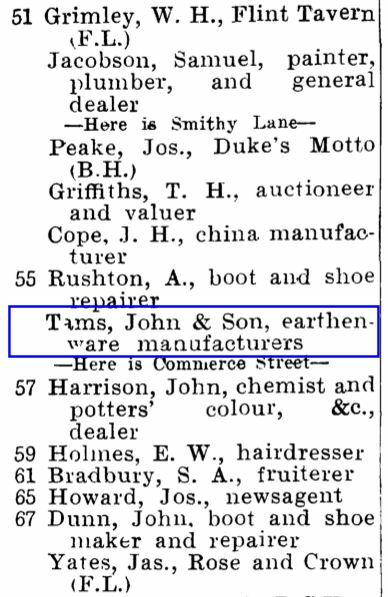 From 1870 to 1887, Messrs. Collingwood & Greatbatch continued; and from 1887 to 1947, these works were worked by Collingwood Bros. 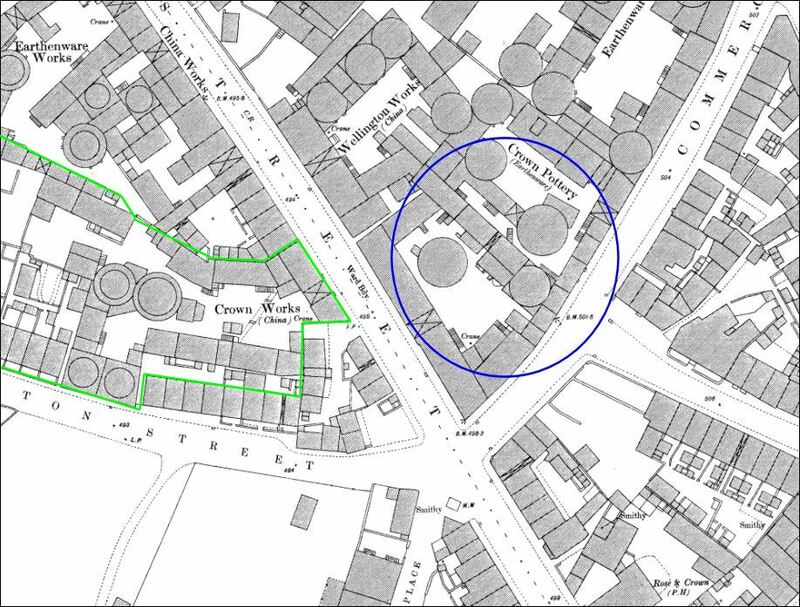 (Ltd)." 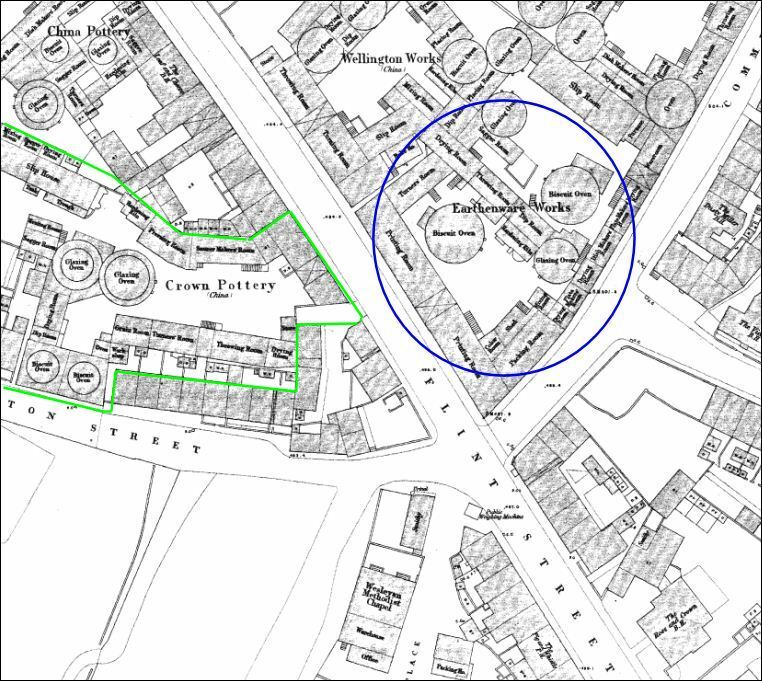 The yellow square was where the Crown Works (later St. Georges Works) was located.